CGG Hyderabad Recruitment 2019 - Below are various recruitment notifications published by Centre for Good Governance, Hyderabad, Telangana / www.cgg.gov.in. As of now, we don't have any active recruitment notification by CGG Hyderabad featured here. We may update as soon as the organization announces a new job notification. If you are looking for any information related to previously organized recruitment drives by CGG Hyderabad, you can browse through previous job notifications mentioned below and get the new updates or information you are looking for. CGG Hyderabad Recruitment 2017 - Latest job notification for Walkins for JAVA, .NET & PL/ SQL Developer & Team Lead in Hyderabad. 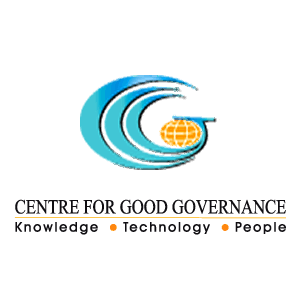 Applications are invited by Centre for Good Governance, Hyderabad, Telangana before 21 Jul 2017. CGG Hyderabad Recruitment 2017 - Latest job notification for Walk-in for Software Developer - Android Mobile in Hyderabad. Applications are invited by Centre for Good Governance, Hyderabad, Telangana . CGG Hyderabad Recruitment 2017 - Latest job notification for Walk-in for DOTNET - Senior Software Developers in Hyderabad. Applications are invited by Centre for Good Governance, Hyderabad, Telangana . CGG Hyderabad Recruitment 2017 - Latest job notification for Walk-in for JAVA-Senior Software Developers in Hyderabad. Applications are invited by Centre for Good Governance, Hyderabad, Telangana . CGG Hyderabad Recruitment 2017 - Latest job notification for VB .Net - Software Developer. Applications are invited by Centre for Good Governance, Hyderabad, Telangana before 29 Apr 2017. CGG Hyderabad Recruitment 2017 - Latest job notification for System Administrator. Applications are invited by Centre for Good Governance, Hyderabad, Telangana before 29 Apr 2017. CGG Hyderabad Recruitment 2017 - Latest job notification for HR - Manager. Applications are invited by Centre for Good Governance, Hyderabad, Telangana before 06 May 2017.